This book covers the period 1961 to 1966 and is illustrated throughout by the author’s own photographs which he started taking at the age of fourteen in 1962 after becoming a trainspotter. Quite soon weekends were spent locally or going further afield when that was possible. 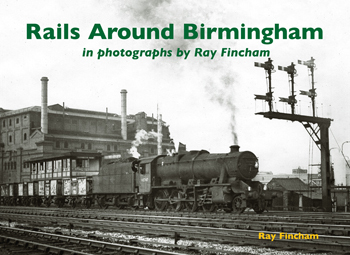 Mainly though the author took photos of Birmingham and more than 50 years later this book is the result. The book is divided into sections: Birmingham Snow Hill, New Street and the L&NW South, The midland Main Line & Tamworth, and ends with Midlands Sheds. The text is highly readable, written by a person who was there and who knows the subject matter.